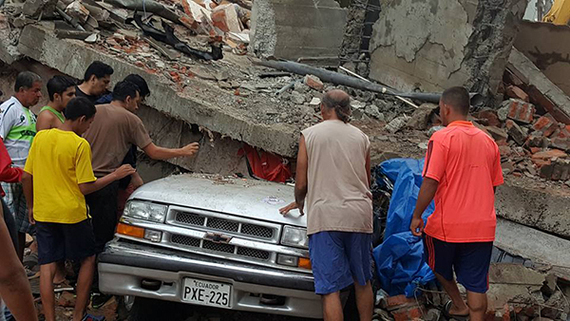 As I write this blog rescue operations are underway in Japan and Ecuador following powerful earthquakes that caused massive damage to property and loss of life. These events remind us of our vulnerability and as the story unfolds they will underscore the critical importance of preparedness, response and long-term recovery. As it happens, over the last several weeks I have had occasion to travel to three countries, Nepal, Japanand Haiti, to observe and assess the long-term work being done to recover from similar events in the past. 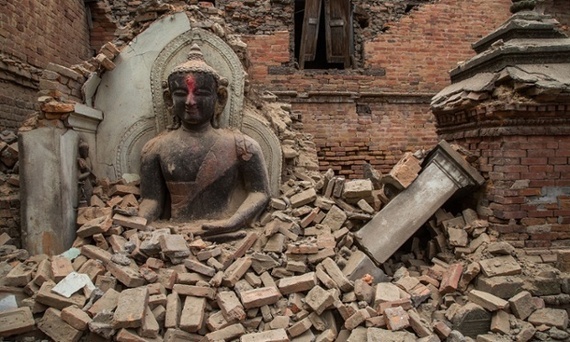 On April 25, the world will observe the first anniversary of the Nepal Earthquake of 2015. Over 8,000 people lost their lives and over 21,000 were injured. On March 10, the world observed the fifth anniversary of the Great East Japan Earthquake, which killed over 15,000 people (with over 2,500 still missing and presumed dead) and injured roughly 6,000. 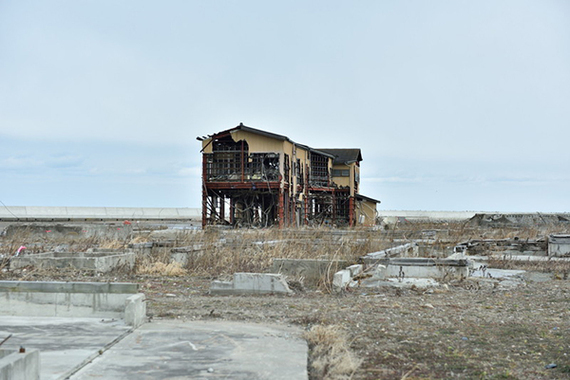 Because of the ensuing tsunami and nuclear meltdown at the Fukushima Daiichi Power Plant over 200,000 people were either temporarily or permanently displaced from their homes and their lives. We have now also passed the sixth anniversary of the Haiti earthquake of 2010. The death toll of this earthquake far exceeded that of either the Nepal or the Japan earthquake, although there are widely varying estimates - anything from 100,000 to 160,000 people, to as many as 316,000 (claimed by the Haitian government). While each disaster is unique and there are considerable local variations on how authorities have responded (or failed to respond), there are a number of interesting lessons to be drawn from how communities and authorities have reacted to these natural disasters. First is the critical importance of a national and local government that is responsive to and trusted by the people to whom it is accountable. Perhaps the starkest illustration of governmental collapse post-disaster was in Haiti, where the parliament building was destroyed and a number of government officials lost their lives. 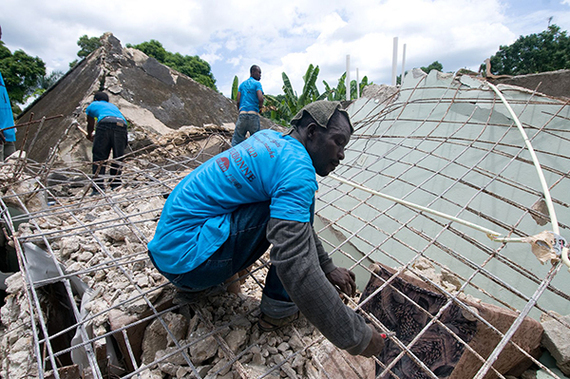 Governance challenges in Haiti continue to undermine recovery, for example, stymying rebuilding efforts because of spotty or non-existent records for land ownership. Is it smart to rebuild if clear title cannot be established for land ownership? In Nepal, as well, inaction from the government on issuing guidelines for rebuilding (and the risk of losing compensation if work is done without approval) has kept community members around Gorkha from constructing shelters that can withstand the harsh Himalayan winter and the coming monsoon season, prolonging their suffering. But lest we think we are immune from government inaction or incompetence one need only look at the lead contamination emergency in Flint (the most visible of a number of recent examples), where residents cannot do what so many of us in the United States take for granted: turn on the tap for safe drinking water. In Japan, as well, where they have bullet trains and one of the highest standards of living in the world, the level of chaos and raw anger that continues in the disaster zone is at least partially driven by government failures on many levels. Furthermore, on my visit, the public radiation meters provided by the government that are meant to reassure people that radiation levels are safe in certain areas around the Fukushima plant under-reported the actual level of radiation by a substantial degree when compared to the portable meters we brought with us. This is one small example of how faith in government has been undermined. Is it any wonder that recovery, even these five years later, has been stalled? Second is the power of building a culture of disaster risk reduction that includes ongoing preparedness efforts before disasters strikes, coupled with strengthened investment in long-term recovery after they happen. Even though Japan’s response in the area impacted by the triple disaster is worthy of criticism (as is the wisdom of placing a nuclear power plant in an earthquake and tsunami zone), Japan’s overall work to create a culture of disaster preparedness is some of the most advanced in the world. Situated on the Pacific ‘ring of fire’ and prone to earthquakes and tsunamis, Japan has driven significant advancement in construction technology and building codes to make structures more disaster-resistant, and drills and education about what to do in a disaster are part of daily life. And yet we must acknowledge that even the most sophisticated governments and infrastructures are vulnerable to disasters. (For a chilling example of what might happen in the United States were a major earthquake and subsequent tsunami to hit the Pacific Northwest, check out this article in The New Yorker.) We must prepare to the best of our ability to get through the initial emergency. Furthermore, we must also prepare for the many months and years of recovery and rebuilding after a devastating event happens. In all three countries, Japan, Haiti and Nepal, the earthquakes happened during the day at times when people were not asleep in their homes or concentrated in buildings or schools - no doubt, this reduced the death toll, as people were less at risk of being trapped or injured by building collapse. It could have been so much worse. But now we must study these disasters and learn from them, in partnership with those who were most heavily affected, and the local organizations and government agencies that serve them. 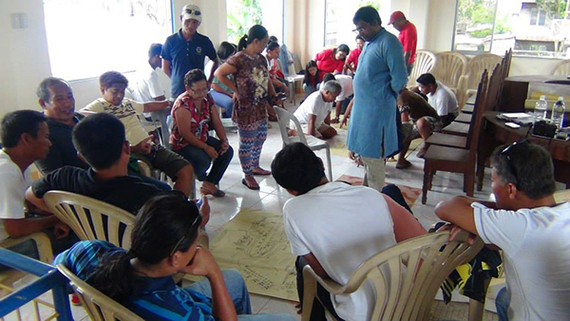 Third is how local churches and NGOs, along with international NGOs, can support community-based preparedness recovery and rebuilding. While I was working through all the jet lag brought on by all this travel, I was reading Why Nations Fail, by Daron Acemoglu and James A. Robinson, given to me by one of my board members. At the risk of vastly over simplifying this masterful tome, the central thesis is that politics and political institutions determine the overall success of a nation. The more inclusive politics are the more the political institutions will serve the economic and other needs of the populace and the more a country will succeed. The inverse is true as well: the less inclusive the politics and economics of a nation are, the more likely it is that the nation will fail. There are stark warnings in this book for Haiti, Nepal and Japan. It is also rich food for thought during our own political season here in the United States. But governments can’t do it alone. There is a vital role for NGOs and, in my view, for faith-based NGOs in particular. 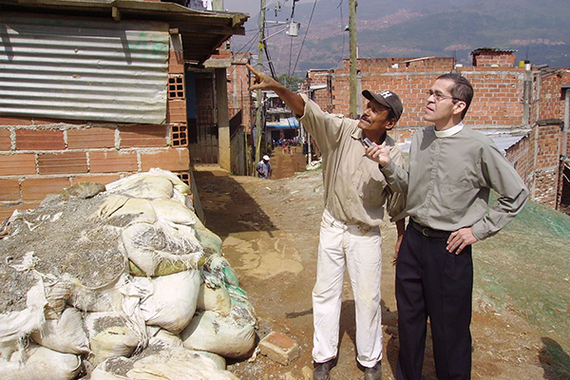 Churches (or other faith communities) are often the only reliable social institutions in remote and underserved areas. As such, they have an increased connection to and responsibility for the people for whom they care - whether those people are members of the faith community or not. If governments want to do their job, improving opportunities and quality of life for their constituents, they need to interact with and support local institutions to understand the context and collaborate on long-term solutions. They also need to appreciate the position of local faith institutions in community life, and the trust our presence engenders. On my final day in Japan, one woman shared her earthquake story with me. She was a Buddhist who had lived her entire life at the bottom of the hill where the local Episcopal church was located. Not being a Christian, she had never visited the church. At the time of the earthquake, she had been out doing errands. Once the tremors stopped, she raced home to check on her family. As she arrived, tsunami warnings had begun to be broadcast. Initially, she and her neighbors dismissed them. Apparently they are quite common and most often don’t come to anything. However, as she turned towards the ocean and saw the huge tsunami coming, she immediately ran up the hill to the church, where she sought sanctuary. She watched from the churchyard as her entire life was swept away. She is deeply grateful for all that the church did for her that day and for all that it continues to do to this day. 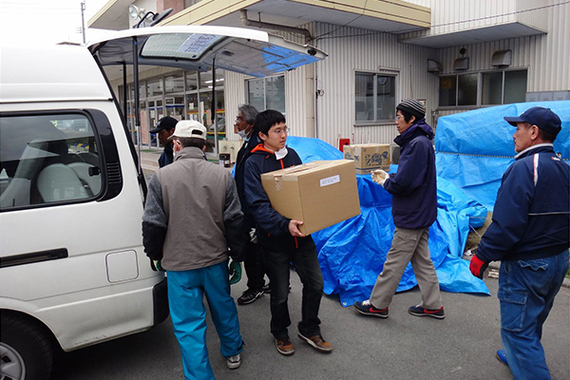 Thousands of people have still not returned to their homes or relocated to new permanent homes, and the Episcopal Church in Japan, the Nippon Sei Ko Kai (NSKK), has a vibrant and important ministry among those who are still displaced. NSKK provides a singular example of how faith communities continue to offer care and compassion many years after the initial crisis is over. I am grateful to our partners in Japan, Haiti and Nepal (and elsewhere, including here in the United States) who are providing much-needed relief and helping communities to recover and become more resilient. May we all recognize our vulnerability and take action together, ensuring that we can be a source of strength and welcome in the face of disaster. 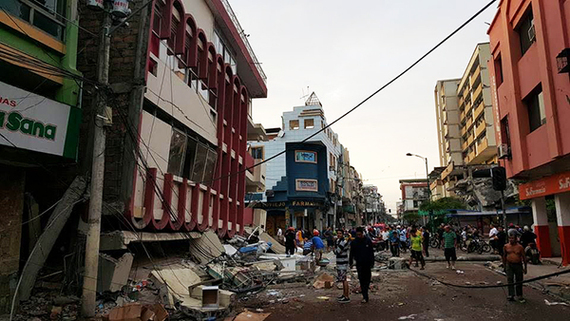 Images: 1 and 2, Impact of earthquake in Ecuador 2016; 3, impact of earthquake in Nepal 2011; 4, Recovery work in Haiti 2011; 5, Faith-based Disaster Preparedness Workshop in Sri Lanka 2014; 6, Damage assessment after a disaster in El Salvador 2009.